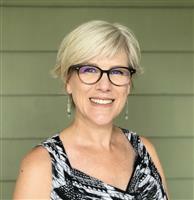 Please consider making a donation to the Committee to Elect Cheryl Selby, a community of people working to ensure Cheryl Selby is re-elected as Olympia Mayor on November 5th, 2019. Your donations are vital to making sure we can execute a strong voter contact plan as we approach the election. We put gifts of all sizes to work! Donations can be made by mailing a check to the address listed, or by filling out the following form below and making a contribution using Visa, MasterCard or PayPal. It only takes minutes! For your records, please note that political contributions are not Tax Deductible.